Connecticut Fund for the Environment v. Department of Homeland Security and General Services Agency (Federal Court for the Eastern District of New York). Plum Island. Photo by Robert Lorenz. On July 8, 2016, we filed suit against the Department of Homeland Security and General Services Agency because their decision to auction the federally-owned Plum Island to the highest bidder without regard to conservation and the remarkable array of wildlife on the island violates multiple federal laws—including the National Environmental Protection Act and the Endangered Species Act. We are asking the court to halt any sale of Plum Island and to order the agencies to fully consider conserving the resources on the undeveloped portion of the island that does not support the research facility operations—whether through a conservation sale or outright protection. Plum Island, an 840-acre island at the eastern end of Long Island Sound, has long been home to a federal animal disease research facility that restricts human presence. As a result, the island’s diverse array of habitats has become a safe haven for wildlife. The federally endangered Roseate Tern and the federally threatened Piping Plover use its shores, as do 57 bird species of Greatest Conservation Need in New York, such as the Osprey and Common Eider. The waters around the island are probable habitat for five species of threatened or endangered sea turtles. Threatened plants and insects also populate the island, and its rocks are one of the most important seal haul-out areas in southern New England. 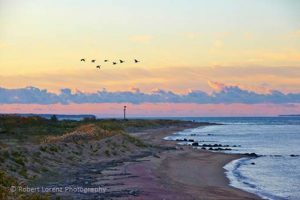 Visit the Preserve Plum Island Coalition’s website for details about the island’s threatened flora and fauna. When the federal government moved to dismiss our complaint as premature, we responded that the record of decision is a final appealable decision under the National Environmental Protection Act. As of early 2018, we are awaiting scheduling of oral argument and a hope for a decision on the motion to dismiss by the summer. The law firm of Morrison Foerster is working with our legal team and representing us pro bono. A March 2018 article in Connecticut Magazine includes an update on the case. Oswegatchie Hills property along the Niantic River. Photo credit Eileen Opasek. We are litigating two separate appeals to stop development that would destroy the last mile of the Oswegatchie Hills. 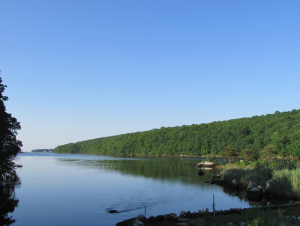 The Oswegatchie Hills comprise an exceptional coastal forest in East Lyme, Connecticut, on the Niantic River, a tidal estuary that flows directly into the Long Island Sound. A portion of the Hills is protected as a nature preserve, but a proposed high-density development is threatening to destroy 236 acres of this forest in a way that would ruin sensitive wildlife habitats and threaten water quality. CFE is taking legal action on the grounds that the development would destroy important open space, pollute wetlands and the Niantic River, and violate state law and local regulations. Our goal is to achieve a conservation purchase to permanently preserve the property as an extension to the Oswegatchie Hills Nature Preserve. In May 2015, CFE formally intervened in East Lyme Zoning Commission proceedings arguing the project would unreasonably impair and pollute the environment. We are representing our local partners, Save the Rive-Save the Hills and Friends of Oswegatchie Hills Nature Preserve. We got a decision limiting development to within the sewer district and requiring environmental concerns to be addressed and we are defending that decision on appeal. Read about the zoning case in The Day. In 2017 we appealed a judicial decision requiring East Lyme Sewer Commission to use a disproportionate amount of their very limited sewage capacity to support this destructive development rather than serving the rest of the community and addressing ongoing pollution problems. We have filed a brief asking the Appellate Court to overturn the ruling and limit the amount of sewage that would be assigned to the developer. As of spring 2018, we are expecting argument to be scheduled soon.